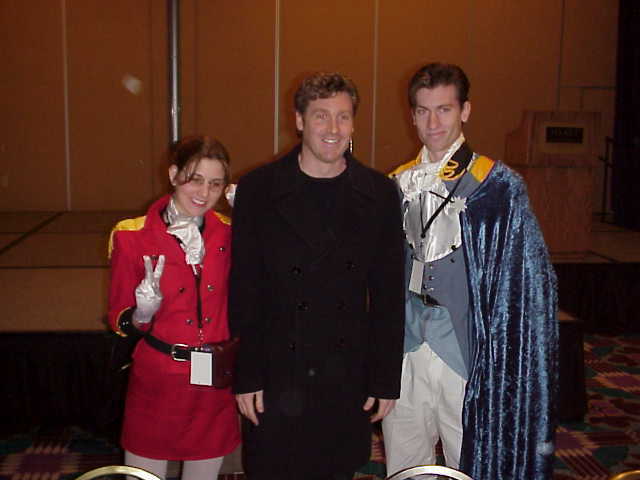 One of the first panels at Katsucon on Saturday was with David Kaye. His impressive filmography includes roles such as Megatron (Beast Wars), General Hawk (GI Joe), Professor Charles Xavier (X-Men: Evolution), Treize Khushrenada (Mobile Suit Gundam Wing), Recoome (Dragon Ball Z), Soun Tendo (Ranma 1/2), and countless commercials. When David arrived, he invited the small audience to come and sit around his table. Everyone jumped at the chance and rushed up front to gather around and hear stories. Once the audience warmed up, the questions really started flowing. David told his attentive audience how he made his big break into acting by landing the role of General Hawk in GI Joe. Most recently, he has done a Patrick Stewart-like voice for Professor X in X-Men: Evolution. One amusing story he shared was how he recently went in to record a commercial. While he was there someone spotted him and had him audition for some role in some series...but he still doesn't know what role or series it was! While talking about the recording process, the audience learned how dubbed animation is recorded. Each actor is called in separately to record his or her lines. The actor only hears the lines before and after the line to be recorded. 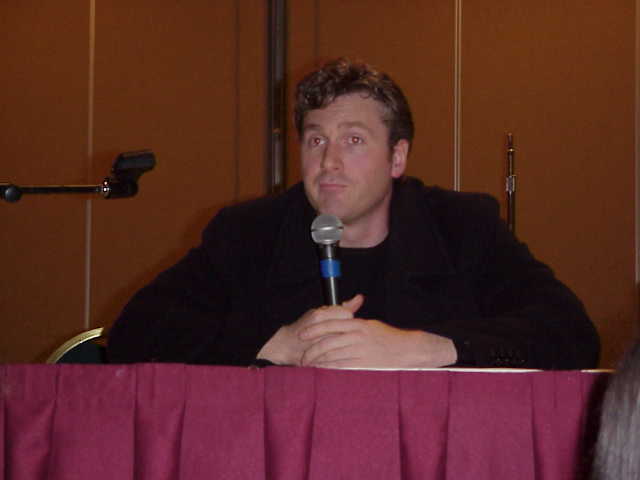 Although David has been working on Ranma 1/2 for about eight years, it was several years before he met some of the voices of the other characters. On the other hand, when recording a show like X-Men or Beast Wars, most of the cast is there and they get to record their lines together. This leads to better interaction...and a lot more goofing around. According to David, Garry "the big monkey" Chalk, Scott McNeil, and Ian Corlett will be goofing off while he and Venus Terzo try to maintain their composure. Eventually, Sue Blu will get them all back under control. 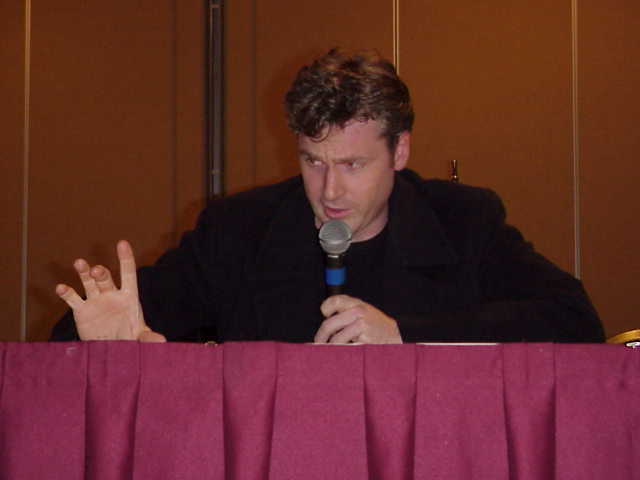 David's favorite role is still Megatron and he enjoys playing the evil characters. If he could have any role in any series, past, present, or future, David says he'd want to do something in Star Wars. When asked to say something in some of the voices, the audience was treated to Megatron's trademark "Yesssss! ", Soun Tendo raving about Akane, and Treize saying, "If I do not get sausage for breakfast, I will die." At the end of the panel, David Kaye was generous enough to sign autographs and pose for photos with all the fans. Thanks, David!